Start building an audience today. 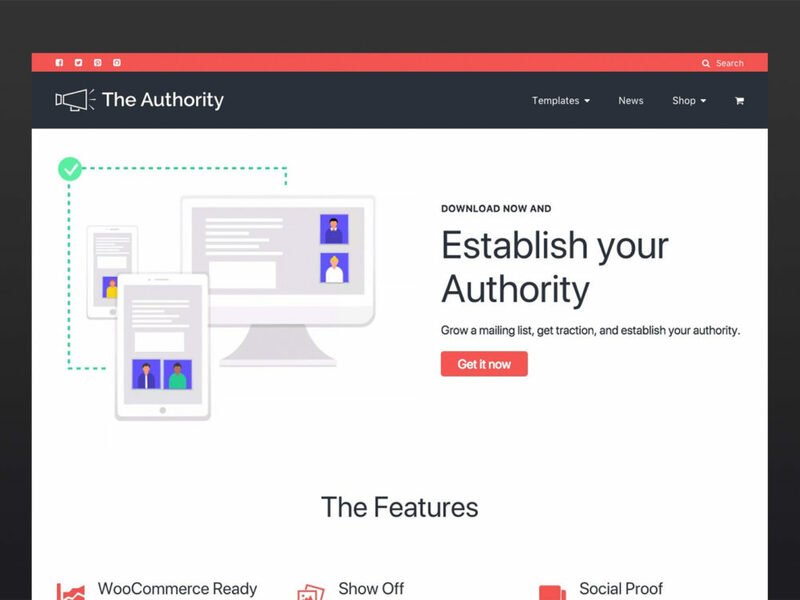 The Authority Pro is a powerful WordPress theme designed to give you the tools needed to grow and online presence. A sleek, and custumizable homepage let’s you focus on driving the conversions that matter to you. The Authority Pro gets you everything available in The Authority, plus several great features to take your site to the next level. The Authority Pro let’s you build a custom homepage to drive attention to where you need it. Create a bold and beautiful header that allows you full flexibility of the content. It works great with shortcodes, forms, and anything else available to WordPress. The Authority Pro also let’s you pull content from your site into section on the homepage. Allowing for a truly customizable experience. Everything from testimonials, posts, and full pages can be pulled directly into sections on the homepage. In whatever order you choose. 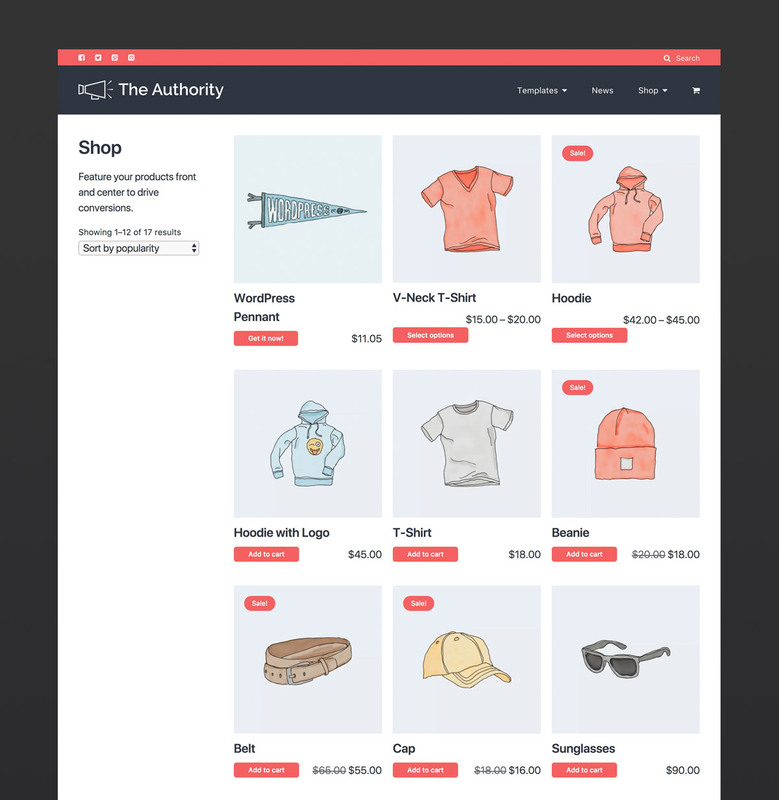 The Authority Pro has fully built-in support for the WooCommerce ecommerce platform. You can get started selling physical or digital products in minutes with a theme that you know is going to work. Display your projects in a beautiful CSS Grid layout using the Jetpack Portfolio post type. All you need to do is install Jetpack and start adding projects to your site. The Authority Pro handles the rest. Note: IE 11 does not currently support CSS Grid. But no worries we’ve got a fallback experience in place. A little social validation never hurt anyone. Show off how happy your clients are with the Jetpack Testimonial post type support. Display your testimonials in a beautiful grid layout with The Authority Pro only! Get even more out The Authority Pro with 1-click install of suggested plugins. The Authority Pro becomes even stronger with these great plugins. 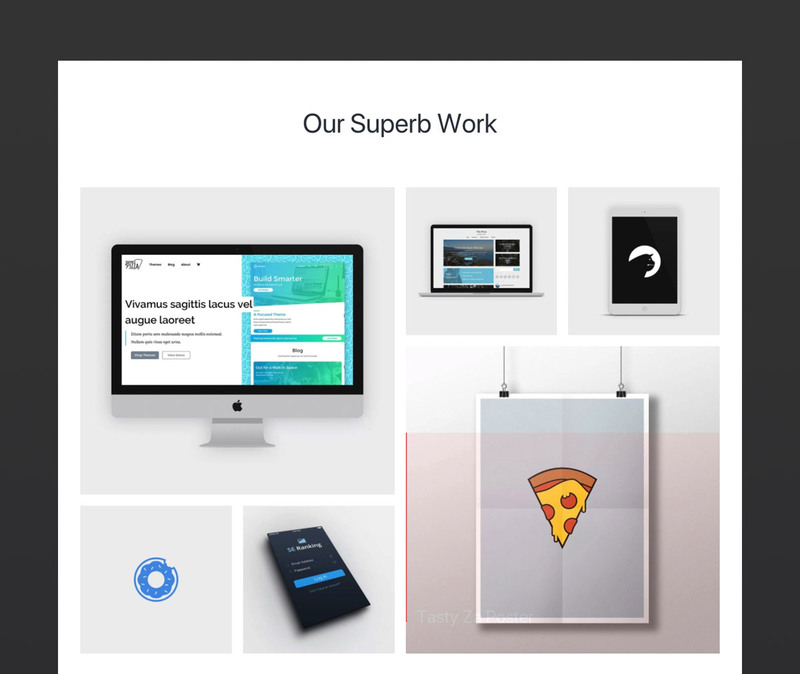 Add Portfolio and Testimonials post types and add beautiful tiled galleries to your posts. The added speed and security benefits don’t hurt either. ? Turn your site into a full-fledged ecommerce store offering digital or physical goods. 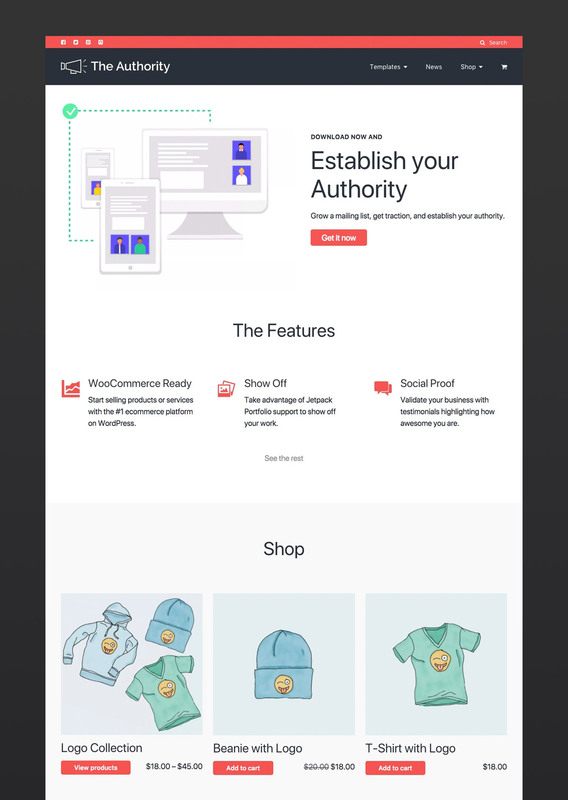 With The Authority Pro and WooCommerce you can start selling products in minutes. The Authority Pro is setup to use the system fonts giant companies like Apple and Microsoft spends untold hours designing. This keeps The Authority Pro lean, mean, and fast. But if you want a little more control over your fonts Easy Google Fonts gives you access to hundreds of fonts freely available. Easily create call to action buttons, column layouts, and more within your posts with Shortcodes Ultimate. With Shortcodes Ultimate and The Authority Pro your page layouts are limitless! Easily create custom forms within WordPress to generate leads. WPForms makes it easy with their drag and drop form builder and integrations with popular CRMs like MailChimp. Need help? Get access to 1 year of priority support with your purchase. We do our best to answer any questions in as timely a manner as possible. Make The Authority Pro your own with full color customization options. You have the freedom to match any color scheme you’d like. The Authority Pro is designed to be lightweight. So you don’t have to worry about users getting fed up and leaving due to long loading times. The Authority Pro comes with several page layouts you can use to fit your need. Even better yet? They work across posts, pages, portfolio projects, and testimonials. You can choose the option that best fits your use! Need even more flexibility? The Authority Pro comes ready with widget areas above and below post content as well as a customizable sidebar. Put in ads, calls-to-action, and more with any widget available in the WordPress ecosystem! The Authority Pro is designed to work flawlessly on any screen size. You won’t have to worry about losing users to bad experiences on any device!